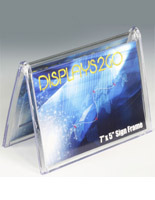 This Picture Frame Is An Eye-Catching Sign Holder! 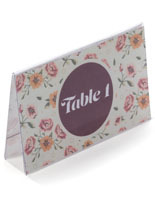 This Picture Frame And 100's More Are Available Online Today With Fast Delivery! 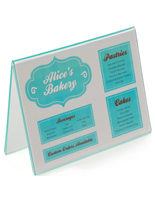 Picture Frame - This table tent style picture frame is outstanding for exhibiting your daily specials, appetizers, desserts, or drink lists. 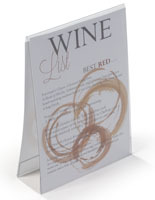 Get your menu recognized with our affordable displays. 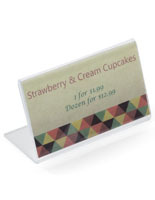 It also renders an ideal and easy to use display for non-restaurant utilizes. 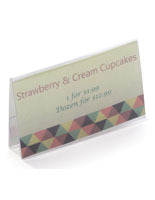 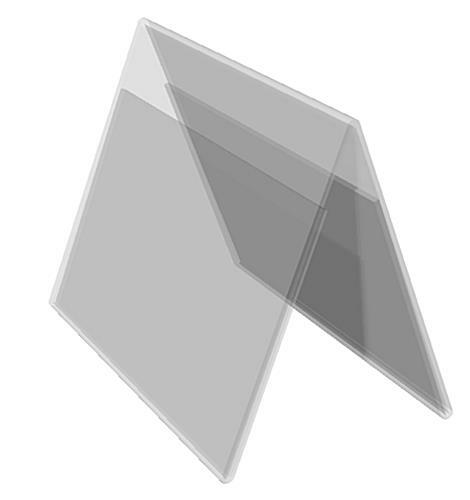 Clear restaurant table-top picture display/sign holder consisting of two folded panels for graphic/menu inserts. 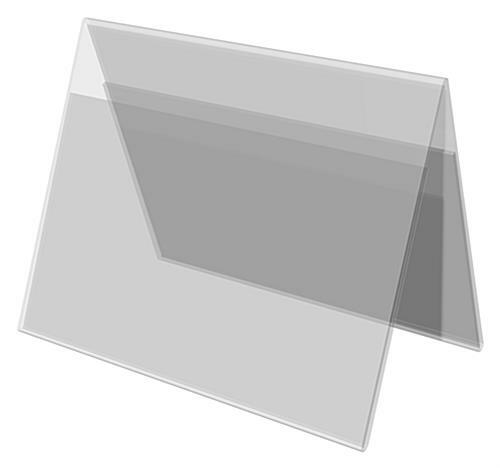 Each panel accommodates a 4" wide x 6" high card for viewing from both sides.